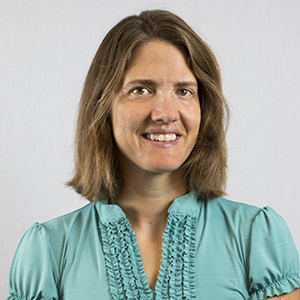 The Stevenson Center for Community and Economic Development relies on talented faculty like Associate Professor of Economics Adrienne Ohler, an energy economist. In 2002, Ohler received her bachelor’s degree in mathematics and economics from the University of Illinois. She went on earn a master’s degree in economics from Montana State University in 2005, followed by both a master’s in statistics and a Ph.D. in economics from Washington State University in 2009. Like Stevenson Center students, Ohler is dedicated to service, both on campus and off campus. She has served as director of outreach for the university’s Institute for Regulatory Policy Studies for eight years. Ohler is the faculty advisor for the Omicron Delta Epsilon honor society, and she was on the Undergraduate Women in Economics Challenge Committee for two years. She is a member of the Academic Senate and its Administrative Affairs and Budget Committee. Ohler has a wide range of professional affiliations, such as her role as associate editor for Energy Systems and her participation in the American Economic Association, Transportation and Public Utility Group, and Midwest Economic Association. She is also past treasurer and current board member of the nonprofit Ecology Action Center. An outdoor enthusiast, Ohler is faculty advisor for Ultimate frisbee clubs. Illinois State’s Department of Economics awarded Ohler the James V. Koch Faculty Development Award in 2010. In 2015, she received the Western Agricultural Economics Association’s Outstanding Published Research Award. “The role of a good economics teacher is to give students the tools to answer questions and to teach them how to ask questions,” Ohler noted.